In a mostly party-line, 13-to-7 vote Monday night, the House of Delegates Ways & Means Committee approved gaming expansion legislation that included what had been the major stumbling block for House leaders when they derailed a similar deal back in June. The bill gives tax breaks for casino operators just three months after legislators approved income tax hikes on 300,000 Marylanders. “If we’re not going to make these adjustments [for the casinos], they’re all going to fail,” said Frank Turner, chairman of the gambling subcommittee. Turner had been one of the House representatives who rejected similar tax cuts proposed by the governor’s study group on casinos in June. The full House of Delegates is scheduled to take up the bill this afternoon (Tuesday). The final committee approval left the Senate bill largely intact after eight hours of fits and starts, as House leaders and Turner’s subcommittee worked on amendments behind the scenes. Throughout the day, Turner would occasionally bring out a package of amendments that got scant explanation and little debate before a committee room packed with lobbyists, reporters and interested parties. The bill would ask voters in November to approve table games at all casinos and add a sixth casino in Prince George’s County, even though two of the five casino sites that voters approved in 2008 are yet to be built and the largest one — at Arundel Mills — has been opened just two months. The two other existing casinos have complained of lost business, and the business is allegedly so bad at the one near Ocean City that it gets a tax break too. Maryland has the highest gambling revenue tax in the nation, 67%, and the cuts are designed to make up for business the existing sites are expected to lose if a sixth “destination” casino opens in 2016 at National Harbor on the Potomac River or the nearby Rosecroft Raceway. But despite the tax breaks, the new casino and the addition of table games are supposed to net the state about $200 million more in casino revenues. About half of that money goes into the Education Trust Fund, after revenue is distributed for local aid and horse racing subsidies, which are also being cut by the measure. Prince George’s County politicians had opposed a slots casino in 2007, but key leaders are now backing a site there to gain jobs and revenue for a county that has a tax cap. The unusual August session of the General Assembly is being held to put the question of the sixth casino on the ballot by the Aug. 20 filing deadline. The measure would also allow table games such as poker, blackjack and roulette at all the casinos. Only the expansion of gaming must be approved by voters. Many other features of the bill will not be part of the referendum, including turning over most of the video lottery terminals to the casino operators. The state lottery agency owns or leases thousand of the machines, but the operators could likely acquire them for less money. Their tax rates are being cut partly to make up for purchase of the machines. Even some of the Republicans who opposed the overall bill favored the addition of table games and allowing the operators to acquire the gaming machines. “I’m not opposed to gaming,” said Del. Andrew Serafini, R-Washington County. “I believe we’re at a competitive disadvantage” in Maryland, as surrounding West Virginia, Delaware and Pennsylvania have all expanded gambling. 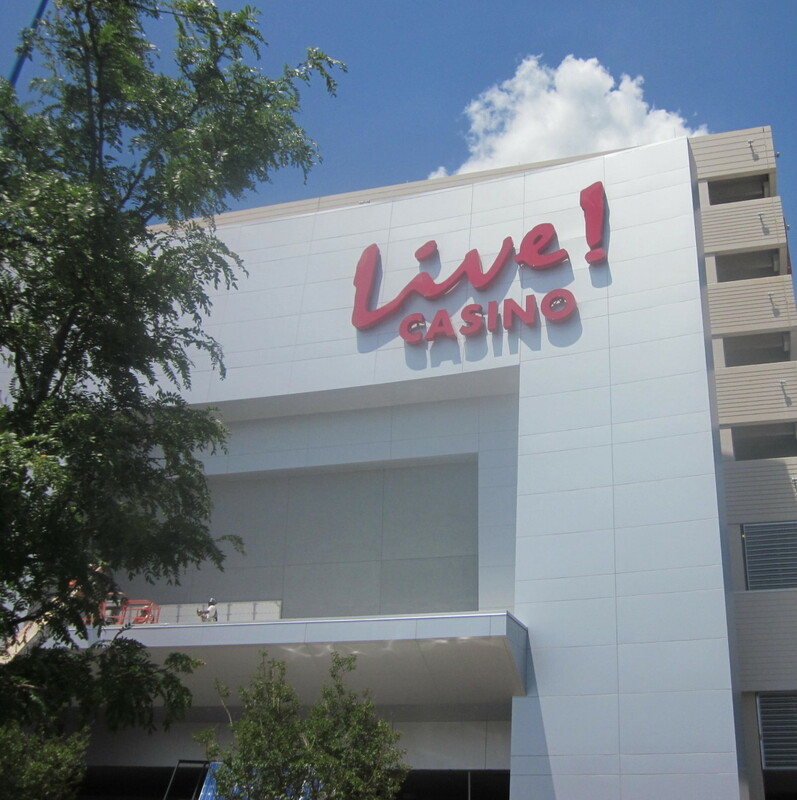 House Majority Leader Kumar Barve, D-Montgomery, emphasized that the bill will generate $200 million for the state, while taking into account the needs of the operators of Maryland Live! at Arundel Mills and the Baltimore City site to be built by Caesars. “The end result of this bill will be a robust gaming market,” Barve said. Del. Melvin Stukes, D-Baltimore City, emphasized the billions that the state has lost as Marylanders traveled first to Atlantic City, then West Virginia and Delaware. The state is “hemorrhaging money,” Stukes said, quoting a gambling executive who said $600 million to $800 million a year was being spent by Maryland gamblers in other states. It took place at the Gaylord National Resort and Conference Center, and the four diamond resort was picked without competitive bidding — a choice the audit said resulted in higher costs because it is one of the most expensive venues in the area. Money for the expo had not been appropriated in the Department of Aging’s budget.